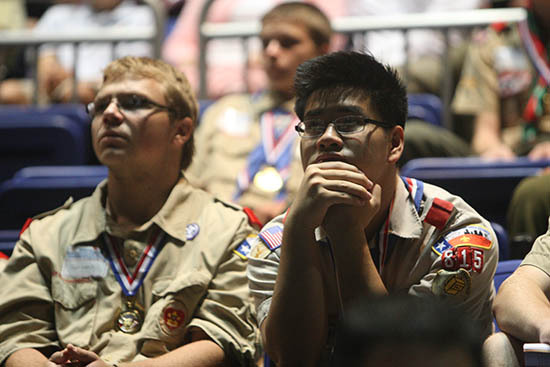 Scouting helps young men and women build character, citizenship and fitness. Developing youth who are physically strong, mentally awake, morally straight, has been the work of the Boy Scouts of America since 1910. Our efforts will be even more important in coming years. Learning from exemplary leaders, engaging programs, and timeless values, Scouts work to improve themselves and their communities. For many, positive attitudes and attributes learned as a youth will continue throughout life. Today’s Scouts will become tomorrow’s leaders in the trades and professions, business, education, government, and all walks of life. Encouraging gifts to the Sam Houston Area Council endowment is one of our highest priorities. A gift to endowment ensures that the council can continue to offer the outstanding programs we now have and also grow to meet the needs of our youth and community for the next 100 years. For the donor, a gift to endowment says, "Scouting is important to me and my family." It says that Scouting truly is a movement with a mission for me. It is more than an organization; it is a way of life. It is what we say and do in the spirit of the Scout Oath and Law. The Sam Houston Area Council Endowment exists to ensure the council's long-term financial health. Your support will help us meet the current and future goals of the Sam Houston Area Council.. Please consider a gift to endowment and help us "Be Prepared" by making a pledge or gift today. All gifts to endowment are included in the Leaders of Tomorrow major gifts campaign. James E West Fellowship Society Members will be recognized two years on the endowment recognition wall in the Cockrell Scout Center. 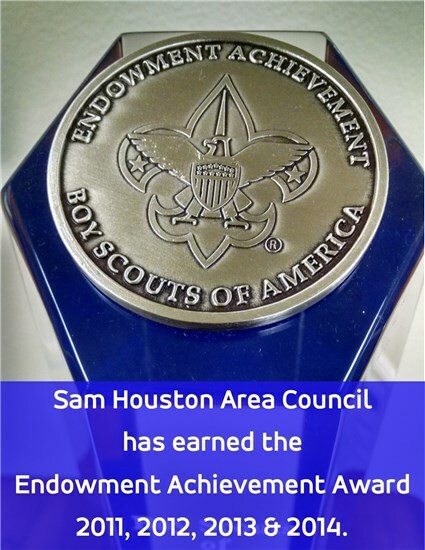 The Sam Houston Area Council endowment committee has earned the Endowment Achievement Major Gifts Award for 2011-2014 and gold level requirement #3 of the Journey to Excellence Award.